Over generations of milling, we have developed a wealth of experience in meeting the needs of our commercial customers. 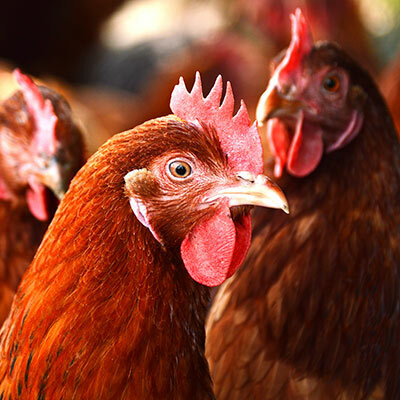 We offer feeding solutions for multi-site commercial poultry farms, family-run farms with seasonal poultry, game birds, traditional breeds of pig, sheep and cattle. 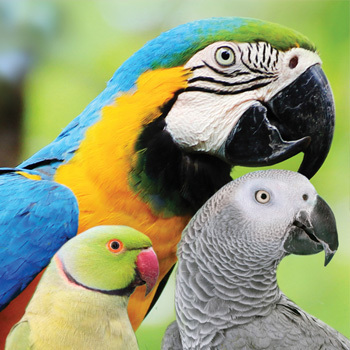 With further capability to manufacture a wide range of equine, small animal and wild bird foods, we enjoy trading with a huge range of customers. Chelmer Mills is assured for organic and non-GM feed milling. Feeds can be medicated and heat-treated. We offer various pellet sizes, crumbs and mash. Deliveries can be made in bags or bulk but not tote bags. We are audited and accredited by AIC’s UFAS and FEMAS schemes, Organic Food Federation, BETA NOPS, Conservation Grade and various others, including supermarkets. Our site is VMD Cat 3, a manufacturer of medicated feedingstuffs at any concentration. Our nutritionist takes care of your prescription for you, working easily and efficiently with your chosen vet. We have a number of AMTRA SQPs on site, qualified to give advice and prescribe non-veterinary medicines (POM-VPS and NFA-VPS), for example wormers. Marriage’s feeds will be fit for purpose and customers can work closely with our nutritionist. We start with quality raw materials: local wheat, beans and peas, English fishmeal and hipro soya. We are surrounded by some of the country’s best arable land and our intake requirements are stricter than most mills. Product security is the absolute priority throughout the process, from intake, through production and into logistics. We have always traded on quality and with integrity. A satisfied customer is at the centre of our approach to business. 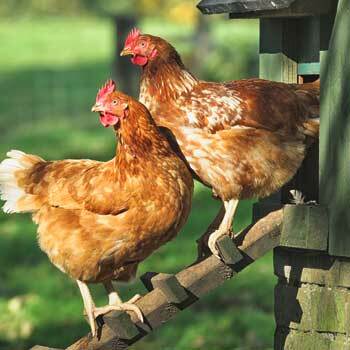 We are experienced suppliers of chicken feeds to farms of all sizes. Stock formulations are convenient for smaller or seasonal producers, and we can offer bespoke rations to larger companies. Whether indoor or free range, layers or broilers, breeder pellets or starter crumbs, we would be keen to discuss your feeding programme. 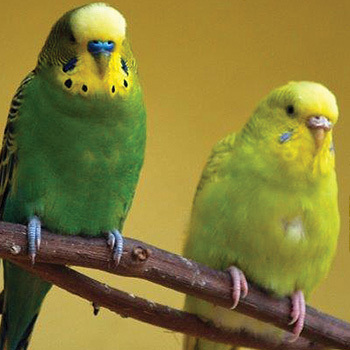 The exact requirements of your birds, your farm and your market can all be considered to decide the nutritional formulation of the feed, the physical form and the method of delivery. 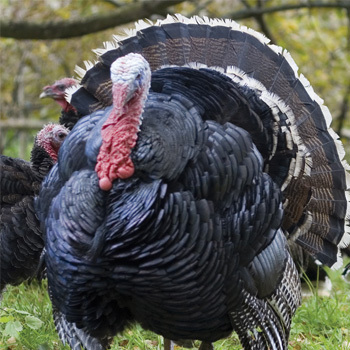 Marriage’s turkey feeds are available for every market: from Christmas hens to commercial breeders to catering stags. 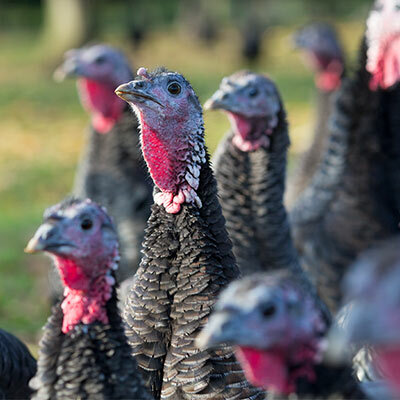 We offer conventional, non-GM and organic feeds, all meeting the criteria set by the Traditional Farmfresh Turkey Association. We are also happy to design and manufacture bespoke rations. These will be made with careful consideration of your specific requirements. Our mill allows us to add fat-coated whole oats to our turkey finisher pellets. First of all, the specification of the pellets is adjusted to account for the added oats. These whole oats offer an excellent, creamy and natural finish to traditional turkeys. It is the perfect combination of modern compound feeding and the age-old quality of finishing on oats. One benefit seems to be the action of whole grains on the gut of the bird. Added of course to this is the nutritional qualities of the oats, not least through the oil contained within good quality whole oats. The company is associated with the Anglian Turkey Association and the Traditional Farmfresh Turkey Association. We make an effort to support the work of their members and all other producers of quality turkeys throughout the country. 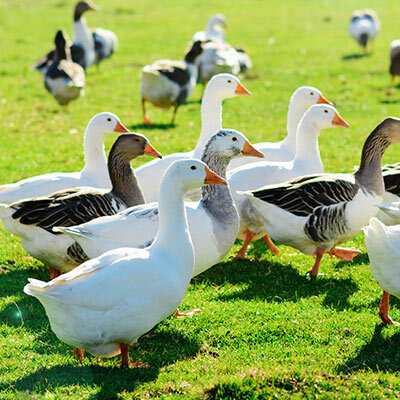 We manufacture duck and goose feeds for all stages of production. 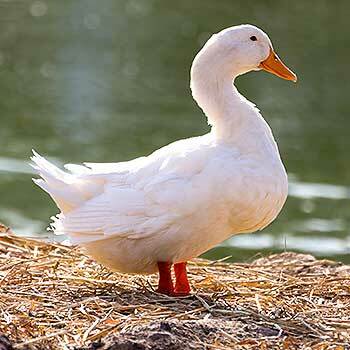 This includes table and wildfowl, as well as laying and breeding stock. We appreciate the specialist nature of the nutrition needed for a high quality niche or seasonal product. Your exact requirements can be considered to decide the nutritional formulation of the feed, the physical form and the method of delivery. Our mill uses quality protein sources: fishmeal (not fish oil) and hipro soya from leading suppliers. An on-site laboratory ensures that the local wheat we buy is the very best. We can manufacture every size and type of ration ourselves, from superfine crumb to release pellets to holding mixes. Excellent physical form is essential and we will be quick to respond if this is not the case. The stock range below can be adjusted to include medication or spice as required. Our holding mixes include products suitable for inclusion in ELS or HLS. We also supply various sizes of maize and grits. We follow closely the Veterinary Medicines Directorate, attending events and heeding their advice. Likewise with the Game Farmers’ Association and various gamekeeping organizations. 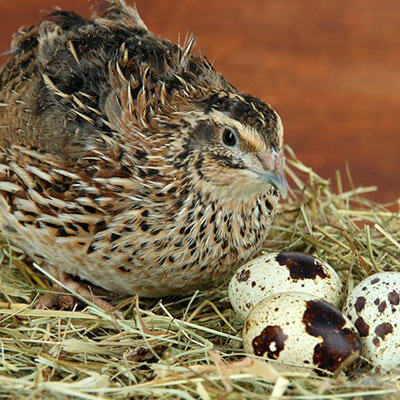 For quail, we appreciate the importance of excellent physical form and the right nutrition for these unique birds. Our superfine starter crumb is very high in protein and sieved to ensure optimum intake, welfare and growth. 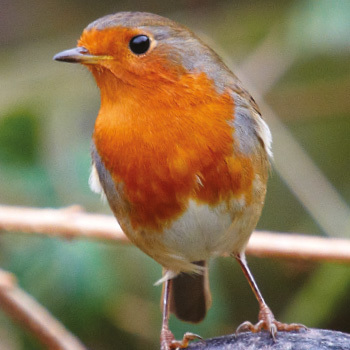 Once the young birds have established a strong frame, we offer a 2mm micro pellet to encourage the very best from adult laying birds. We require a minimum order of one tonne for these products. 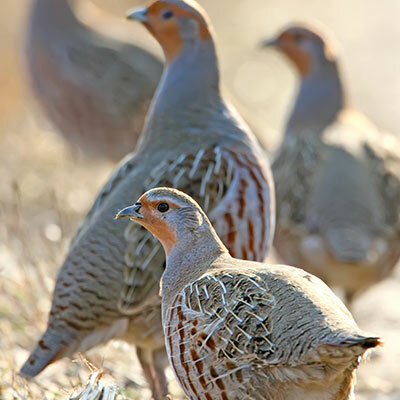 Quail production is a niche sector of the UK poultry market but we recognize the importance of specifically formulated rations with the appropriate physical form. 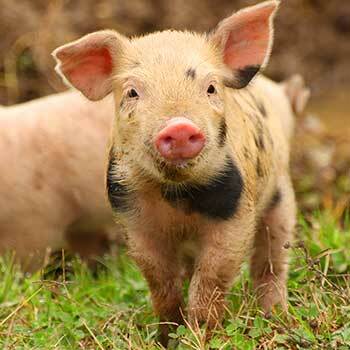 The Marriage’s range is aimed at independent producers of quality free range pork. 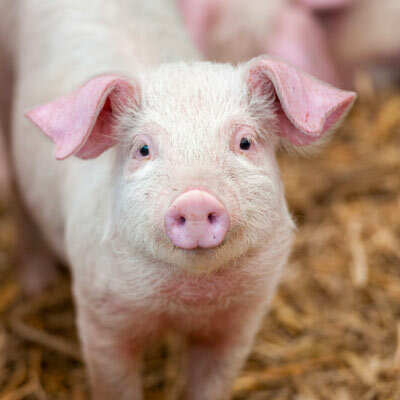 For warehouse stock, we offer non-GM and organic pig feeds formulated for traditional breeds. The Chelmer range is made to order, using conventional soya and a commercial formulation. In our mill we manufacture pig feeds in 3mm pellets (Grower 1), 6mm cubes (Grower 2 and Sow), 16mm rolls or meal (Sow). We do not make creep diets. 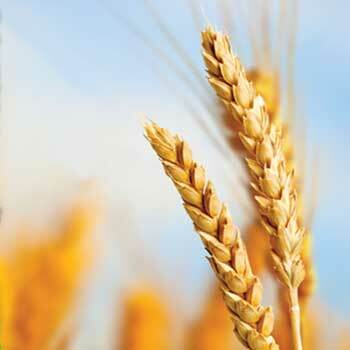 The company is also a flour miller, so we can supply excellent wheatfeed (middlings) from the same site. We stock everyday cubes and straights in our warehouse, available as whole or mixed two-tonne pallets. Many other rations are made to order, including stud cubes and NOPS-assured coarse mixes. You could also design with our nutritionist a feed specific to your requirements (minimum order rate applies). 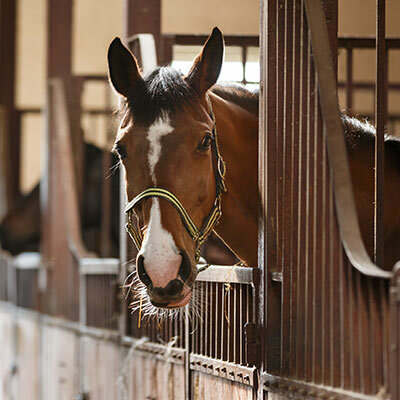 Livery stables, riding schools and studs find our delivery service convenient and cost-effective. We unload by hand or provide a vehicle-mounted forklift for larger bagged orders. Cubes can be delivered bulk blown or tipped. 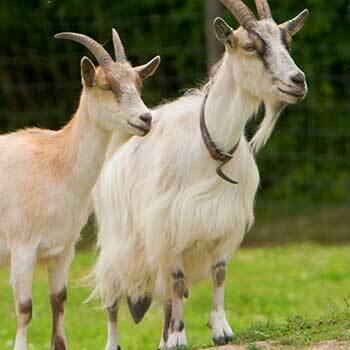 We understand the requirements behind the supply of commercial small animal feeds. 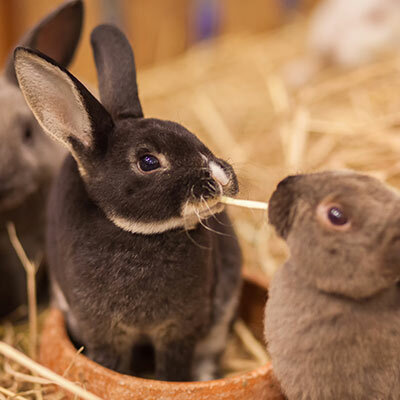 The team has a wide experience in feeding rabbits and rodents of all types. Customers have found that a specifically formulated compound feed gives obvious improvements in performance for a surprisingly reasonable price. Our nutritionist can offer feeding advice relating to health issues and we will liaise with your vet regarding any necessary medication inclusion. We make bespoke rations for larger companies, which can be delivered in bags or bulk. The mill warehouse holds a stock bagged range for breeders and retailers. We can manufacture various sizes of pellet from 2mm to 16mm, as well as crumbs, meal and coarse mix. 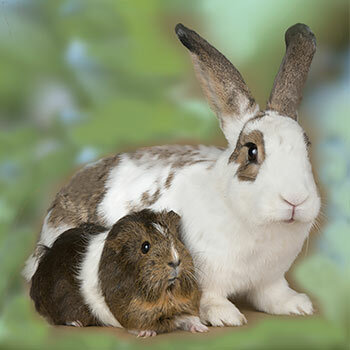 Relevant breeds of small animal include rabbits, guinea pigs, hamsters, gerbils, mice and rats. Our own flour mill provides flour, wheatfeed/middlings and bran. 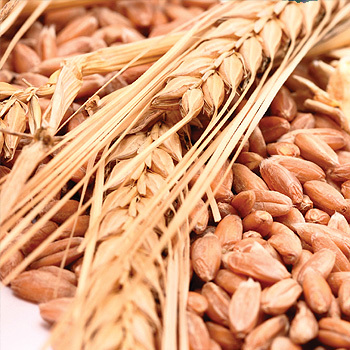 As a miller of hard wheats for bread flours, these products are of the highest quality. 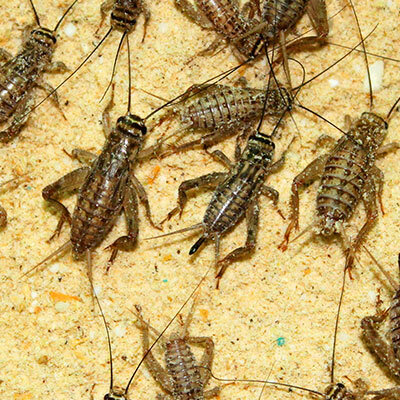 They are ideal food or bedding for crickets, locusts and mite. 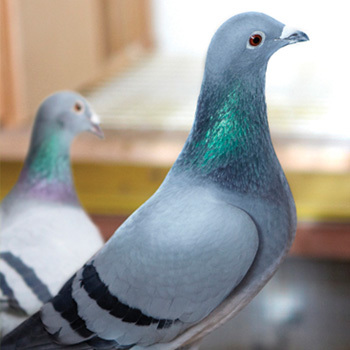 Subsidiary company Marriage’s Specialist Foods manufactures food for breeders of pet birds and racing pigeons. The production site is located at Driby Top in Lincolnshire and managed by a team highly experienced in pet bird foods. Please click here to see these and all our retail ranges.